Starting with September 2010, I decided to change the code from (RO) to (GB). I arrived on 13 September in London and decided to create a different kind of design portfolio —First days in London. 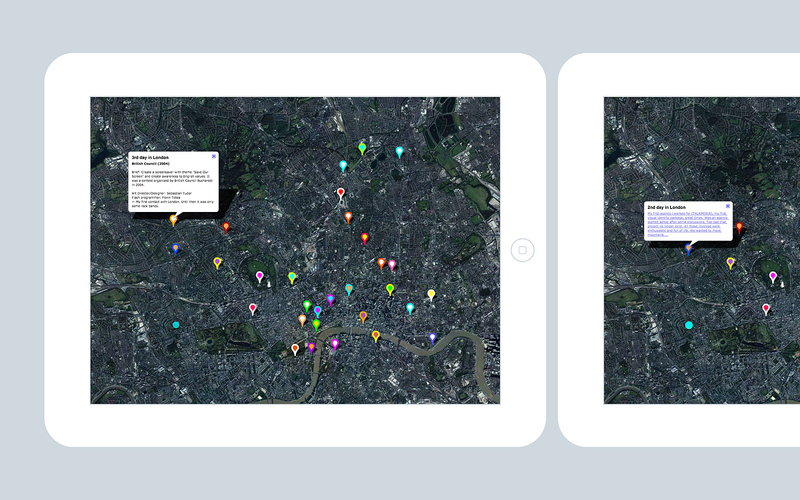 So, I “pointed” 30 projects in different London places visited in my first month.